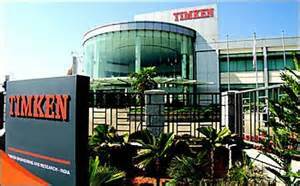 Timken designed type TSR thrust spherical roller bearings to achieve a high thrust capacity with low friction and continuous roller alignment. This bearing type is ideal for operating conditions that experience heavy loads, difficulty in establishing or maintaining housing alignment, or shaft deflection. Spherically contoured rollers, arranged in a steep angular position, accommodate high thrust loads and support moderate radial loads. Bearing geometry and manufacturing technology result in low friction of bearing. Internal self-alignment of bearing elements during operation compensates for shaft deflections and housing distortions caused by shock or heavy loads. The TSR's inherent compensation for misalignment offers equipment designers the opportunity to use weldments for housing frames instead of complex castings, which reduces machining costs. When castings are preferred, bore alignment is less critical if spherical thrust bearings are specified. “E” styles utilize enhanced bearing geometry allowing for higher dynamic load ratings and improved lubrication characteristics. Thrust cylindrical roller bearings are designed to operate under heavy loads at moderate speeds. Special design features are available for even higher rotational speeds. Types include standard (type TP) and aligning washer (type TPS). Thrust tapered bearings include rollers that have conical sections. The bearing design ensures a true rolling motion for maximum bearing life and load-carrying capacity. Available in both standard (heavy duty, v-flat, screw down, oscillating and crossed roller) and custom designs. Thrust needle roller and cage assemblies are designed to transmit a thrust load between two relatively rotating objects while greatly reducing friction. Ideal for automotive, agricultural and construction equipment.